Certified Airport Concessions Disadvantaged Business Enterprise (ACDBE) operators Midway Restaurant Development (MRD) and Pastorelle Marketing Group (PMG) have partnered with Unibail-Rodamco-Westfield Airports to bring a third Garrett Popcorn Shop to O’Hare International (ORD). The new location in Terminal 5 near Gate M12 features the flavors Garrett has made famous locally since 1949, including CaramelCrisp, CheeseCorn, and vegan Buttery or Plain. 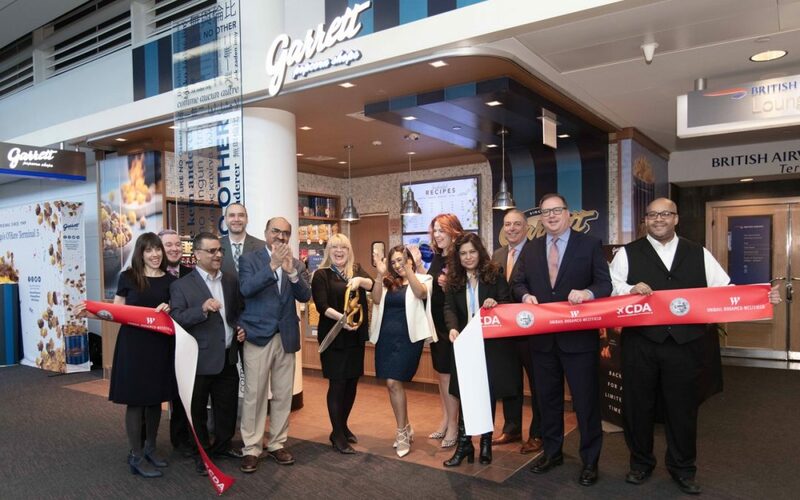 The success of Garrett Popcorn Shops at ORD has paved the way for the opening of two new locations at Chicago Midway International (MDW) set to open in 2020 as part of that airport’s $75 million development of its concessions program.